Black and white image of five different women seated at desks. One woman sits at a typewriter, while the woman behind her appears to be working with paper accounting material. 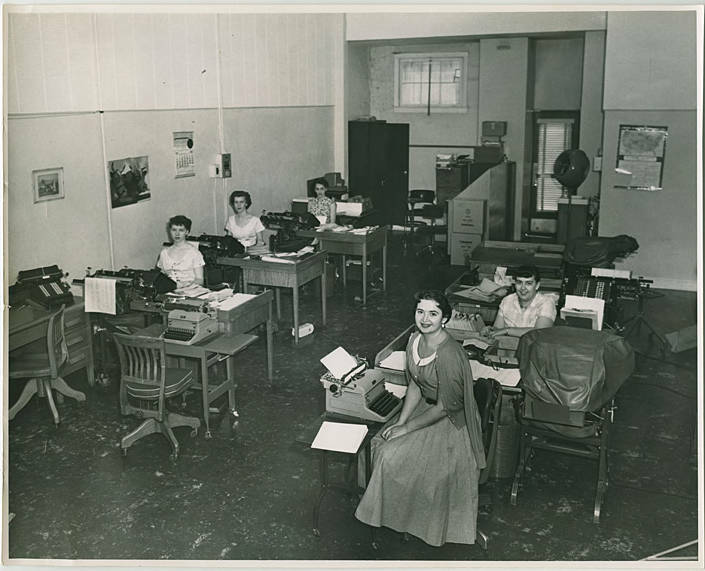 The three women on the left side of the image all sit before accounting machines, which performed typewriting, ten-key, and other computational functions necessary for keeping track of banking transactions. Considered early forerunners of the modern computer, machines like this were replaced with business computers in the 1960s and 1970s. Museum records identify these women as employees of Commercial National Bank, which occupied the building where the U. S. Bank is now in downtown Hillsboro, on the corner of 2nd and Main Streets. 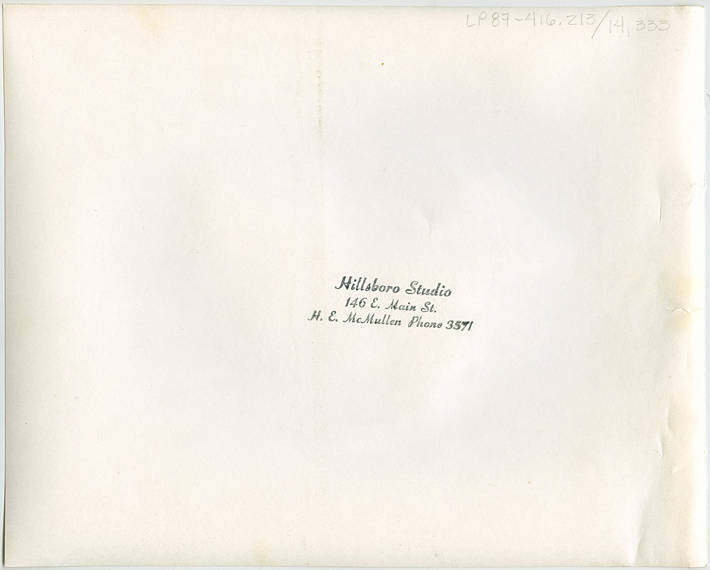 [back] [stamped] Hillsboro Studio, 146 E Main St., H. E. McMullen, Phone 3571.